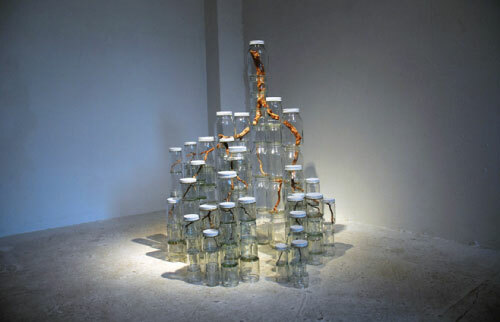 Urban Nature is an ongoing series by artist Naoko Ito and is a personal favorite of mine because of its mix of opposing materials. 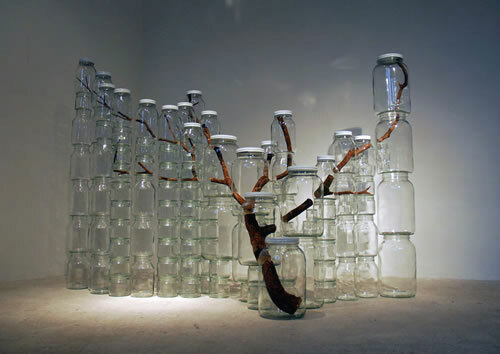 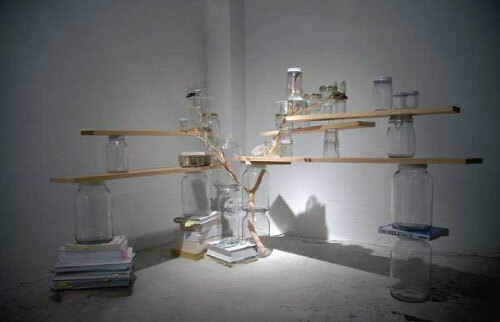 It explores the relationships of the industrial world and the natural world through preserving segmented tree branches in glass jars. 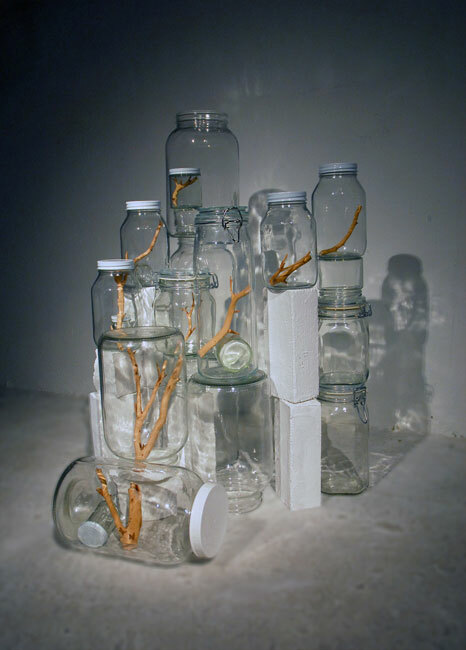 Her choice of elements originally stems from a desire to replicate the luminosity and fragility of ice, a natural material that shares the quality of preservation with jars. 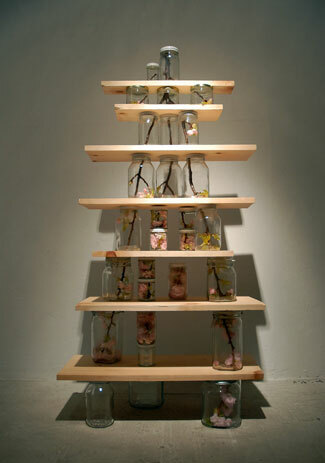 Meticulous arrangements on the concrete are proof of a gentle and unfaltering hand.